Mold selection is a very important part of the entire mold making process. 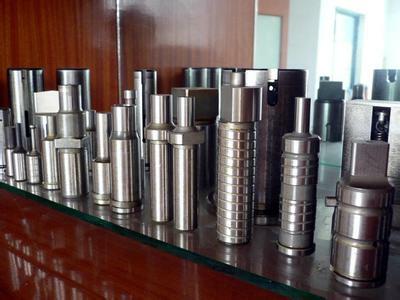 The material selection of the mold needs to satisfy three principles. The mold meets the working requirements such as wear resistance, strength and toughness, the mold meets the process requirements, and the mold should meet the economical applicability. (A) mold to meet the requirements of working conditions 1, wear-resistant blanks in the mold cavity plastic degeneration, along the surface of the cavity both the flow and sliding, so that the surface of the cavity and the material between the intense friction, resulting in mold due to wear and tear Failure. Therefore, the wear resistance of the material is one of the most basic and important properties of the mold. Hardness is the main factor affecting wear resistance. Under normal circumstances, the higher the hardness of the mold parts, the smaller the amount of wear and the better the wear resistance. In addition, wear resistance is also related to the type, number, morphology, size, and distribution of carbides in the material. 2. The toughness and toughness of the working conditions of the mold are mostly very bad, and some often suffer from a large impact load, resulting in brittle fracture. In order to prevent the mold parts from suddenly breaking during work, the mold must have high strength and toughness. The toughness of the mold depends mainly on the carbon content, grain size, and microstructure of the material. 3, fatigue fracture performance of the mold during the work, under the long-term cyclic stress, often lead to fatigue fracture. In the form of small energy multiple impact fatigue fracture, tensile fatigue fracture contact fatigue fracture and bending fatigue fracture. The fatigue fracture properties of a mold depend primarily on its strength, toughness, hardness, and inclusion content in the material. 4. High-temperature performance When the working temperature of the mold is higher, the hardness and strength will be reduced, resulting in early wear of the mold or plastic deformation and failure. Therefore, the mold material should have high anti-tempering stability to ensure that the mold has higher hardness and strength at working temperature. 5, resistance to cold and heat fatigue Some molds in the work process is in a state of repeated heating and cooling, so that the cavity surface tension, pressure stress, causing surface cracking and spalling, increase friction, hinder plastic deformation, Reduced dimensional accuracy, resulting in mold failure. Hot and cold fatigue is one of the main forms of failure of hot work molds, and these types of molds should have high resistance to hot and cold fatigue. 6, corrosion resistance Some molds such as plastic molds in the work, due to the presence of chlorine in the plastic, fluorine and other elements, after the heat resolved hci, hf and other aggressive gases, erosion mold cavity surface, increase its surface roughness , increase wear and tear failure. (Ii) the mold satisfies requirements of manufacturing process performance <br> <br> go through forging dies typically, machining, heat treatment and other several processes. In order to ensure the quality of molds and reduce production costs, the materials should have good forgeability, machinability, hardenability, hardenability, and grindability; it should also have small oxidation, decarburization sensitivity, and quenching. Deformation cracking tendency. 1, malleability has a low resistance to hot forging deformation, good plasticity, wide forging temperature range, cold cracking and precipitation of carbide-like carbides tend to be low. 2. The annealing process has a wide range of spheroidizing annealing temperatures, low annealing hardness, small fluctuation range, and high spheroidization rate. 3, cutting a large amount of cutting, tool loss, low surface roughness. 4. Oxidation and Decarburization Sensitivity High-temperature anti-oxidation when heated, the decarburization rate is slow, and it is not sensitive to the heating medium, resulting in a small pitting tendency. 5. Hardened quenching with uniform and high surface hardness. 6, after quenching quenching can get a deeper hardened layer, using quenching quenching medium can be hardened. 7, the quenching deformation cracking tendency of the conventional quenching volume change is small, the shape of warping, distortion is slight, abnormal deformation tends to be low. 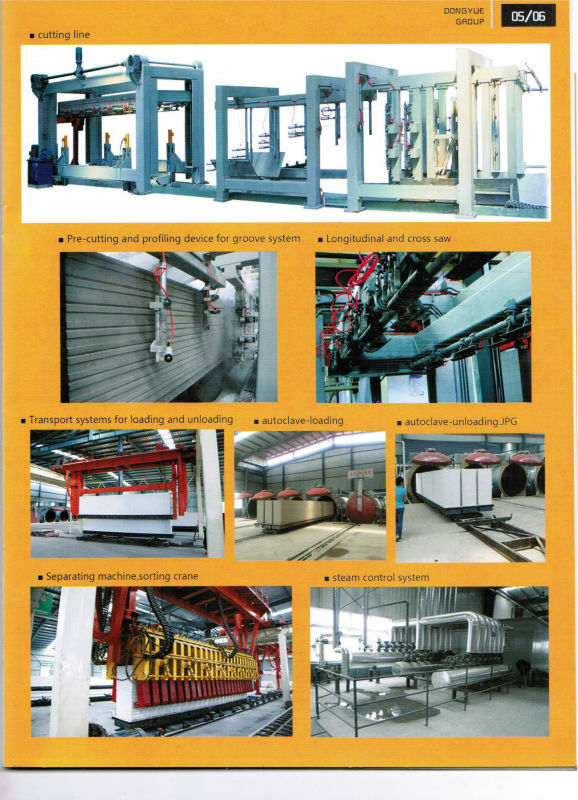 Conventional quench cracking susceptibility is low, insensitive to quenching temperature and workpiece shape. 8, grinding wheel can be relatively small relative loss, non-burn limit grinding a large amount of grinding wheel quality and cooling conditions are not sensitive to wear and grinding cracks. In the selection of materials for molds, the principle of economy must be taken into account and manufacturing costs should be reduced as much as possible. Therefore, under the premise of satisfying the use performance, the first choice of low-cost, can use carbon steel will not use alloy steel, can use domestic materials do not have imported materials. In addition, when selecting materials, the production and supply of the market should also be taken into account. The selected steel types should be as small and concentrated as possible and easy to purchase. Sand Base Aac Manufacturing Plant, which is a AAC block production process with sand as the main material, a complete process mainly includes crusher, ball mills, bucket elevator, mixing center, pouring machine, autoclave, crane, cutting machine boiler , dust collectors and so on, the dimension of the block is adjustable. The crusher is used to crush the lime into small gravel for further grinding purpose, one Ball Mill is to grind the sand into powder and the other one is to grind lime. After batching and thoroughly mixing, the slurry is poured into a mound, where the green cake will go through several different processes such as pre-curing, cutting and curing in the autoclave. Then the finished AAC block is produced and can be delivered to the market.